It is easy to recognize how important it is for a front door to make an impression. 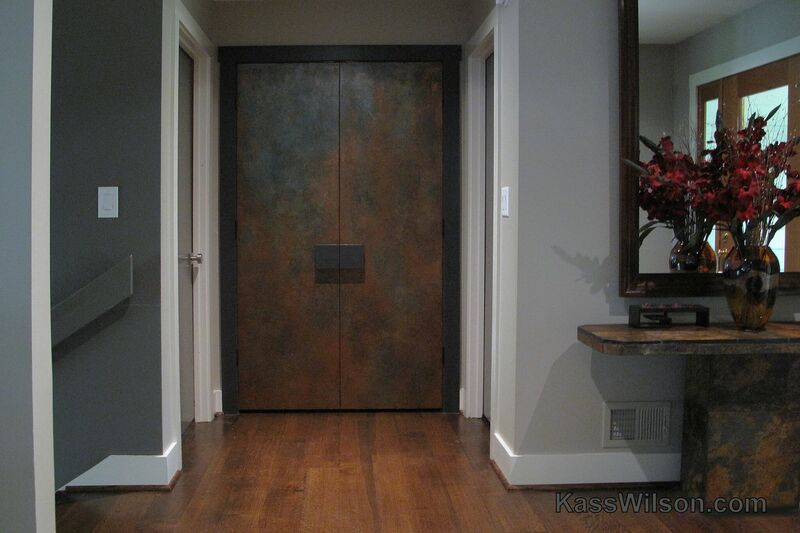 Interior doors, however, deserve the same quality, thought and appeal. 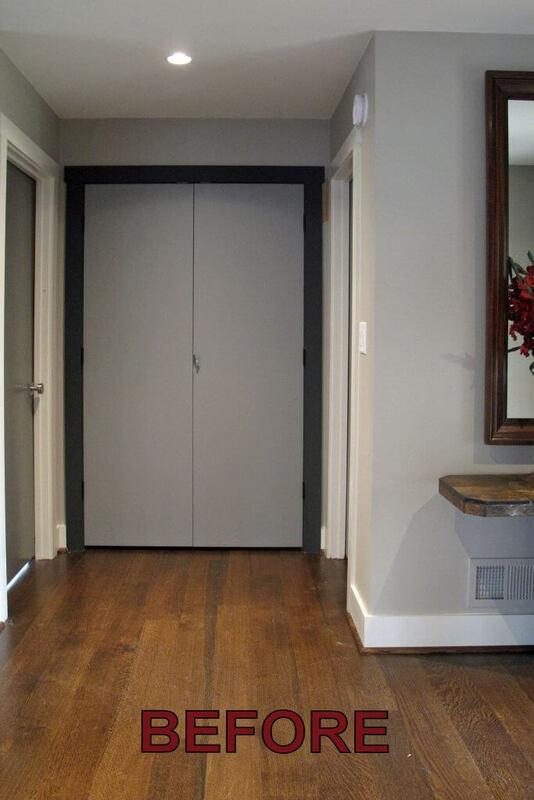 In this example, a set of doors at the end of a hallway serve the purpose of creating a striking and unexpected focal point. 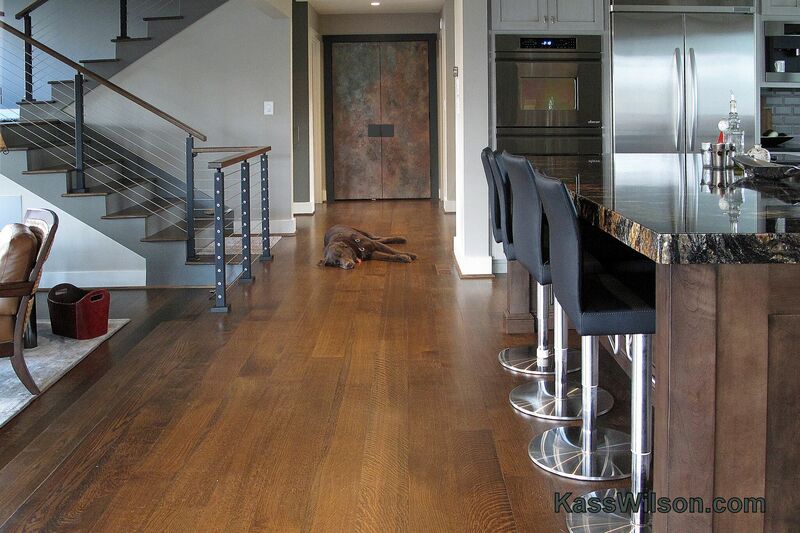 Hallways are often neglected, but they provide an ideal opportunity to punctuate your design style. The walls and ceilings offer a natural architectural frame at the end of a hall. 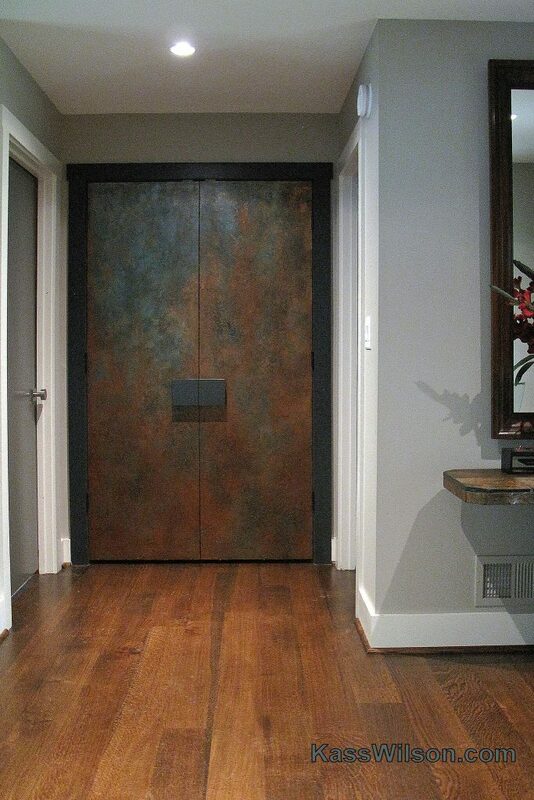 In this case, the flat double doors within a sleek modern space became the perfect canvas allowing this homeowner to celebrate their appreciation for organic art. 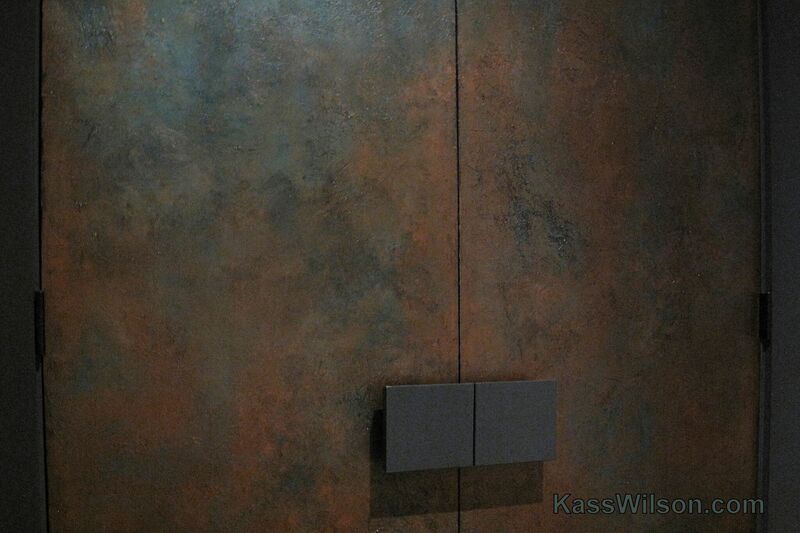 A faux finish was applied to represent sheets of authentic aged copper panels. Kass, this is gorgeous. I absolutely love this door. Mind blowing difference. Awesome job! It’s so intriguing. OMG Kass. This is incredible. Love, love love it. I’m looking at my doors now…..